This week's STYLE it features our Luxe Pave Spike Crystal Necklace with the help of four amazing bloggers, who show you all the different ways this necklace can be paired with! Anna James from Fash Boulevard paired sparkle with sparkle with her gorgeous sequin blazer! We love her silky mustard colored dress which gave the necklace the perfect background to shine on. Bonnie from Delusions of Grandeur paired our necklace with a chic black and white outfit that would look fabulous for work and easily transitions to after work drinks as well! We love how she let the necklace be the statement of her outfit. Lilly of Lilly's Style gave it a fun and classy twist pairing the sparkly necklace with a pretty tweed and pops of color with her accessories. We love this everyday chic look! And our fourth look is Lauren from LA in the Bay who added our necklace to a very classic look to give it a bit of a modern twist. We love her LBD and her high bun with the fun bow! She also added our Gold Spike Bracelet to her look which we love! 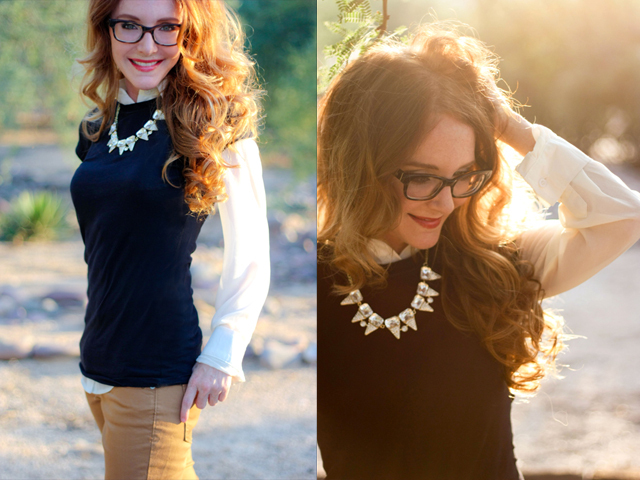 THANK YOU to our fabulous bloggers for helping us show all the ways to style our necklace. 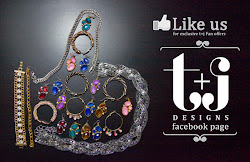 And to thank our customers, we are offering a 20% discount on the necklace this week only! (You'll automatically qualify for free shipping too!) Use code STYLEITSPIKE at checkout. code expires Friday 9/14. I love all the styles but my favorite is Fash Boulevard. My fav is Delusions of Grandeur. She showed how to wear a nice piece of jewelry with an everyday outfit! amazing pieces, you guys have some awesome stuff! I love how everyone put their own pizazz to their outfits with the jewelry! All are super cute!